A content delivery network is a network of interconnected servers located across the globe. It is the backbone of contemporary online delivery content. Find your inspiration here to find the right one. Read ON! Many people do not understand the importance of content delivery network as it provides us with web content without delay. Using a CDN hosting affects everything including the cost of the IT staff, efficiency and availability of your site, and its performance. 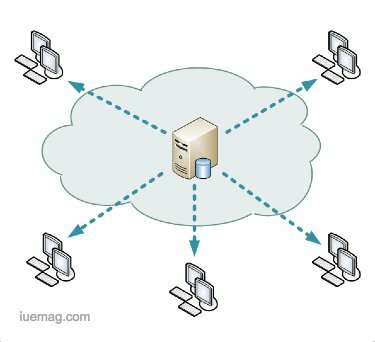 A content delivery network uses server proximity and has servers located around the globe so it can overcome the latency issues. Using CDN means that the network will transfer your data to cloud-based servers across the globe which in turn will make data distribution faster and easier. When a user requests a web content, the server provides him or her with a copy of the website from the nearest located server. In this way, the server handles the traffic efficiently, and the website does not get slow as compared to users getting the web content from a single source. Most people think they do not need CDN web hosting, when in fact it is important for making the process faster. 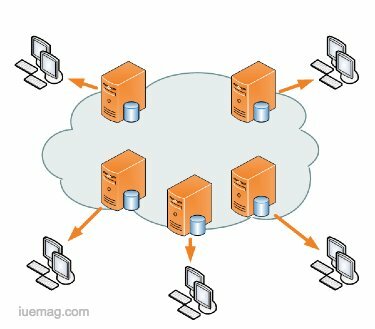 A content delivery network distributes bandwidth across multiple servers instead of having one server that handles it all. Having multiple servers improves user experience since the website becomes faster and increases website availability on a global level. A slow website will decrease user experience that will result in user dissatisfaction and fewer views. On the other hand, a CDN prevents a website crash that can happen in case of high traffic. The main job of a content delivery network is to make your data available to users without any delay, which reduces your content delivery cost and increases the revenue, and will also enhance your reliability and scalability. Fast speed means that your SEO will improve that will give the website a high ranking as Google determines the website rating based on the user experience and page load time. Having a high ranking will make your website available to more users. With pros, there are cons to everything, though In CDN’s case the cons are very few. Some users may experience blocked access since many organizations and countries allow access to specified users thereby restricting the domains. Another drawback is that your files may be too large for the service to provide it with efficiency. You will have to reduce the size and upload the optimized file to the private CDN, which will demand more time as well as cost. While choosing a CDN, you need to make sure that it provides quality services and is reliable. Since CDN’s main purpose is to improve user experience and increase the website’s speed, your selected service should be capable of doing the job. Apart from speed, your CDN service should be available at all times and provide customer support when needed. The content delivery network has revolutionized website hosting in the last few years. By using CDN, you are providing your users a better experience which will ensure that they will continue to visit your website in future. Hostiserver.com helps you get the best services that you need. Any facts, figures or references stated here are made by the author & don't reflect the endorsement of iU at all times unless otherwise drafted by official staff at iU. This article was first published here on 15th May 2018.